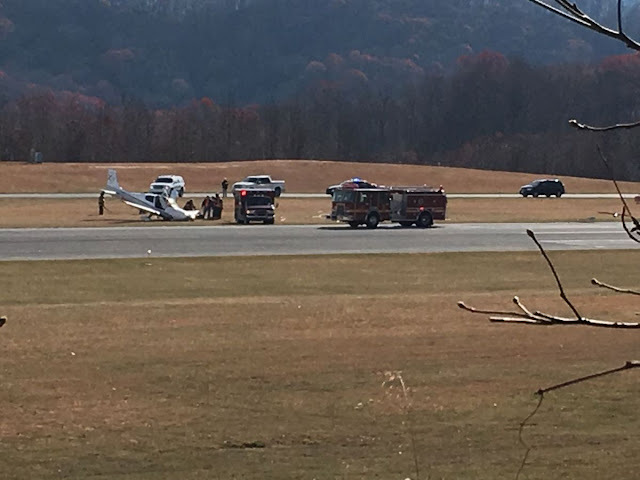 On November 22, 2016, about 1142 eastern standard time, a Cirrus Design Corp. SR-22 single-engine airplane, N217CE, sustained substantial damage during an aborted takeoff on runway 5 at the Mercer County Airport (BLF), Bluefield, West Virginia. The commercial pilot, the passenger, and two dogs were not injured. The airplane was registered to a private company and operated by the pilot. Visual meteorological conditions existed at the airport at the time of the accident which was being conducted as a 14 Code of Federal Regulations Part 91 flight. No flight plan was filed for the personal flight that was destined for Hilton Head Airport (HXD), Hilton Head Island, South Carolina. The pilot stated that he and his father departed for a cross country flight. The father sat in the front right seat and held two small dogs on his lap during the takeoff roll. The pilot said that during the takeoff roll, the airplane's engine was not making full power and there were fluctuations with the airspeed, so he elected to abort the takeoff. He reduced power and applied full braking, but the left wing became airborne and the right wing struck the runway. 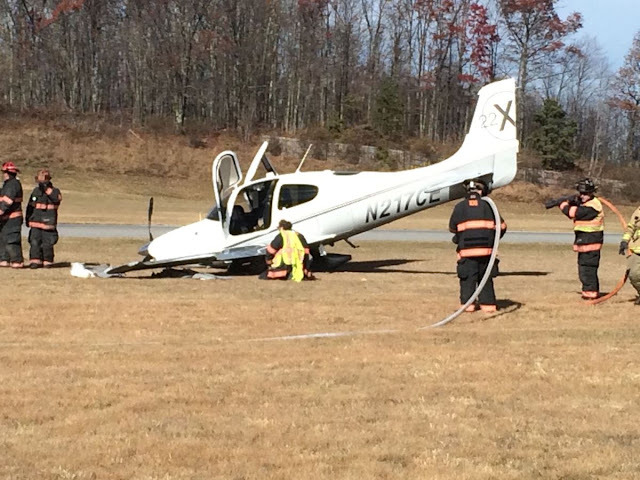 The airplane veered to the right and the propeller struck a grassy area. The airplane impacted the ground and spun 180° before it came to a stop. A postaccident examination of the airplane revealed substantial damage to the right wing and the engine mounts. The engine was removed from the airframe and sent to the manufacturer to be test run. During the pre test-run examination, it was noted that the engine's magneto-to-engine timing was set 7° in advance of what was specified for this model engine. The pilot reported that prior to takeoff, he had trouble starting the engine, which resulted in multiple start attempts. The starter-adapter was removed from the engine. When the starter-adapter was manually rotated by hand, irregular friction was noted, which was indicative of damage being present. When the adapter's housing cap was removed, metallic debris was observed along with gear impressions and circumferential scrapes/gouges on the housing walls. Removal of the gear shaft revealed that the drum displayed compression damage from the spring that smeared and deformed the aft ends of the splined areas. Damage to the gear shaft was consistent with needle bearing impingement and the needle bearing rollers were galled. According to the engine manufacturer, this damage was consistent with damage observed on other starters that were involved in engine-start "kick-back" events for which, the FAA released a Special Airworthiness Information Bulletin NE-17-11, "Engine damage as a result of kickback" on May 10, 2017, to address the issue. Since advanced engine timing can also contribute to engine kick-back events, the crankshaft gear bolts were removed as per the Continental Motors Service Bulletin 16-6 (issued October 2016), Engine Damage Due to Kickback. The gear bolts were found in place with the safety wire intact. The bolts were examined and no damaged was identified. Even though the starter was found damaged, its primary role is for engine-starting purposes only and would not have affected the engine's ability to operate after it was started. A new starter adapter was placed on the engine and the engine-to- magneto timing was left "as is" before it was placed in a test cell. The engine started immediately and ran through its full power band without interruption. No preimpact anomalies were identified that would have precluded normal operation of the engine. The airplane was equipped with a Cirrus Perspective Garmin GPS and a Recoverable Data Module (RDM), both of which were downloaded to obtain flight information. According to the data, the pilot attempted to start the engine 32 times on the morning of the accident, and was able to start the engine twice. The pilot described in a written statement that first time the engine started, he shut it down due to a high cylinder head temperature (CHT) reading. He then tried again to start the engine, and after several more attempts, the engine finally started a second time. 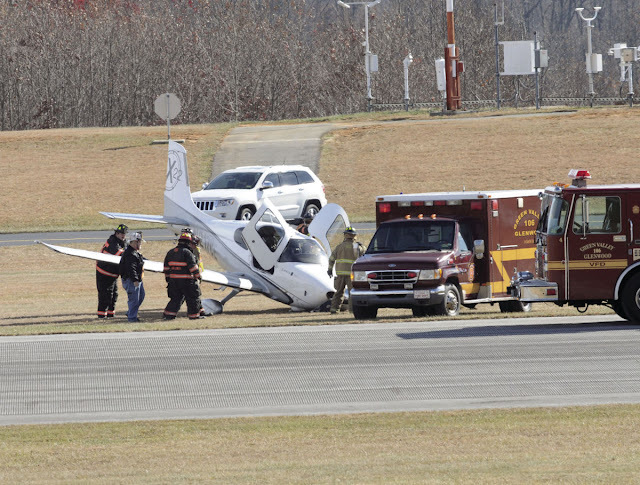 The pilot observed good CHT readings following the second engine start, then taxied to the runway and departed. The engine data also revealed that associated engine parameters moved in response to rpm increases and decreases, and there was no evidence of a power loss. The airspeed also corresponded to the power changes and no erroneous fluctuations were recorded. From the time the pilot initiated the power reduction, there was about 2,600 ft of remaining runway. The pilot held a commercial pilot certificate with ratings for airplane single-engine and multiengine land airplane, and instrument airplane. He reported a total of 883 total flight hours, of which, 460 hours were in the same make/model as the accident airplane. The pilot's last Federal Aviation Administration (FAA) third-class medical was issued on September 15, 2014. Weather at the airport at 1152 was reported as wind from 280 degrees at 8 knots, visibility 10 miles, and clear skies. 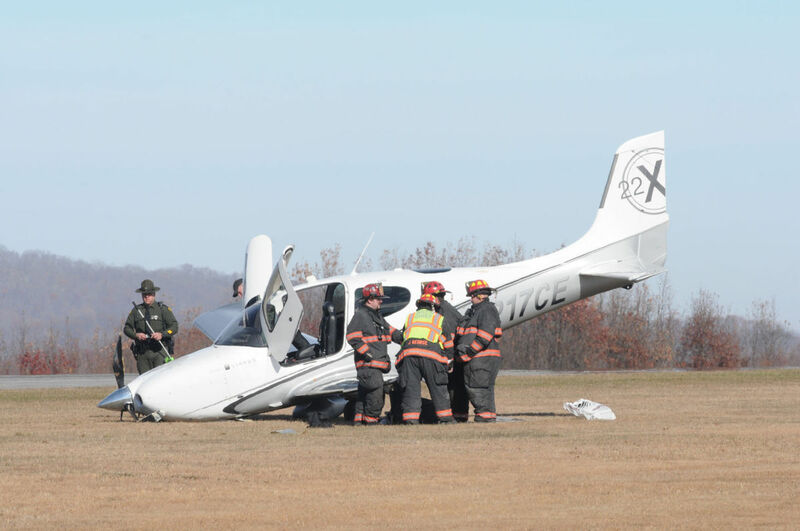 On November 22, 2016, at 1220 eastern standard time, a Cirrus Design Corp. SR-22 single-engine airplane, N217CE, sustained substantial damage during an aborted takeoff at the Mercer County Airport (BLF), Bluefield, West Virginia. The commercial pilot and the passenger were not injured. The airplane was registered to a private company and operated by the pilot. Visual meteorological conditions existed at the airport at the time of the accident which was being conducted as a 14 Code of Federal Regulations Part 91 flight. No flight plan was filed for the personal flight that was destined for Hilton Head Airport (HXD), Hilton Head Island, South Carolina. According to the pilot, the airplane was not making full power on the takeoff roll and there were fluctuations with the airspeed so he elected to abort the takeoff. He reduced power and applied full braking, but the left wing became airborne and the right wing struck the runway. The airplane veered to the right and the propeller struck a grassy area. The airplane impacted the ground and spun 180 degrees before it came to a stop. Weather at the airport at 1152 was reported as wind from 290 degrees at 8 knots, visibility 10 miles, and clear skies.